The Lawful Stupid Podcast has taken it a step further. 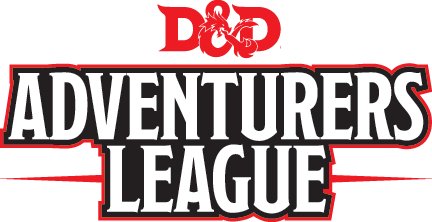 We are now running Adventure League games out of our discord for all of our fans and discordians. Do you know what this means? We got a DM for each and every one of you! *While Supplies Last But Also every single week at least one game will be played for 3-7 players! What do you need to do to get into these games? It's simple really. ​​​Step 1: Join our Discord and find the #adventurers-league chat. Step 2: Find one of the DM's post advertising a game and mash on the Emoji of choice to save your spot. If you need the Adventurers League resources, look no further! Still have questions? Ask Shainsaw, Devan, or DeWayne in our Discord and we will be happy to assist you!